Steven Gottlieb was born and raised in Manhattan. He grew up in Upper West and Upper East Side co-op buildings and attended the Horace Mann School. 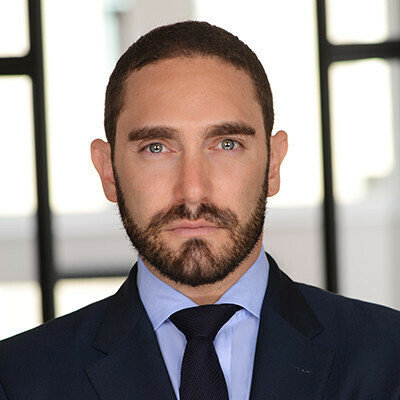 After graduating from the University of Pennsylvania, Steve joined Warburg Realty in 2005, during which time he also earned a Masters degree in Real Estate from NYU’s Schack Institute. In 2008, Steve left NYC to pursue his MBA at The Ross School of Business at the University of Michigan in Ann Arbor. He then moved to Los Angeles where he worked at Walt Disney Studios before going into talent representation at United Talent Agency (UTA) and Paradigm Agency, working with an extensive roster of premiere Hollywood actors, writers and directors. Steve rejoined Warburg in 2015 with an even greater knowledge of high-end client services to continue his career in real estate. Combining his experience and people skills with his love for and knowledge of his hometown of New York City, Steve’s clients know that they can rely on him for honest advice and professional counsel. Steve always goes the extra mile for his clients and customers; he understands that his job is to make the real estate transaction process as seamless and efficient as possible. He currently is a homeowner in a co-op near Union Square.